The Abundance Mindset is the belief that amazing things are on their way. This is the absence of fear surrounding money, but the belief that I have all that I need and more is coming. Watch this video to learn more. I've spent 1000's and 1000's of dollars investing in things. I've found nothing that has contributed more to my business than the investment in myself. I spent years and years working for Friday. What a miserable existence. I discuss how I broke free from this cage. I love money. My relationship with $ hasn't always been so pleasant. 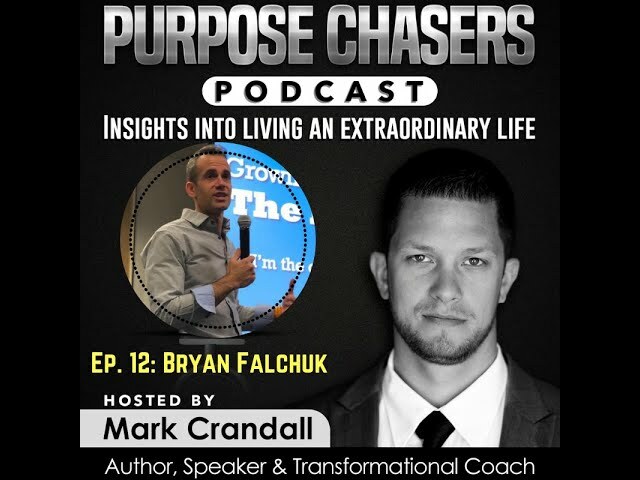 Bryan Falchuk, CPT BCS is a life and executive coach, public speaker, C-level executive and the best-selling author of Do a Day , in which he teaches people how to overcome challenges and achieve goals. Bryan spent most of his life obese and overcome by anxiety until he discovered the approach to change all that – Do a Day. Using Do A Day, Bryan was able to break from this pattern to live a life of consistent, unending health and wellness, and works to share what he’s learned with others seeking a happier, more complete existence. As Bryan says, people don’t change, lives do. His goal is to help people change their lives. Bryan’s work has appeared in many major publications like the LA Times, Chicago Tribune , Baltimore Sun, Inc. Magazine and more, and he has been featured as a guest on over 100 podcasts and radio shows . He has also shared his message across many stages, including multiple TEDx events. Bryan changed his life while staying true to himself. So can you. Today is a new Day. Go out and Do it. Bryan fits the Purpose Chasers Podcast mold for sure! 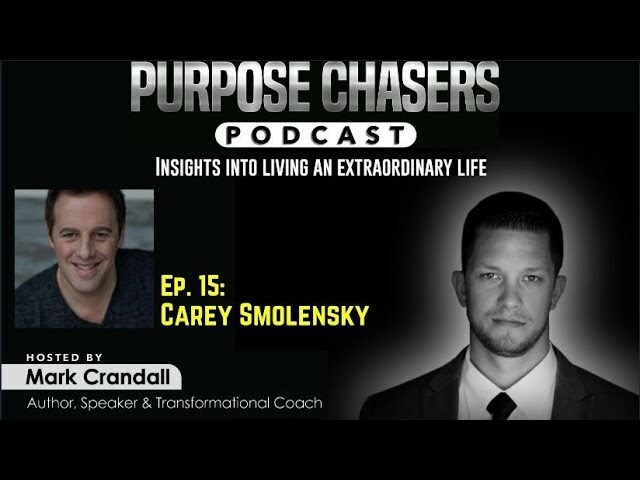 Carey Smolensky is the author of the book "Living Life with Passion and Helping Others". Published December 2015, this book is an embodiment of how he lives his life. Carey is Executive Producer of The Passion Summit; an annual event of two life-changing days, in the Chicago area, to ignite your passions, fuel your existence, create purpose, help others and be part of a lifelong global community. Carey is constantly challenging himself, both physically and mentally, and giving of himself in donating his time, talents and self for numerous charities. As a founding board member of Front Row Foundation and the annual Warm Clothing and Giving Hearts Drive (http://www.awarmerwinter.com), Carey has firsthand experience in helping others. Carey talks to Purpose Chaser Podcast about he built a family-owned company and has found a way to balance business while treating employees as family and partner vendors as respected extended family. 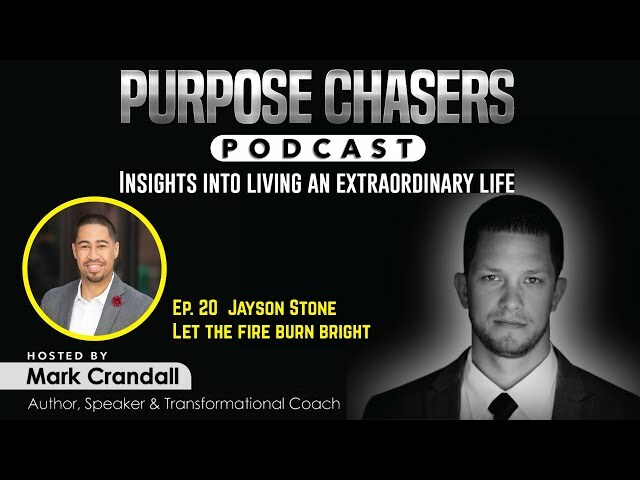 Purpose Chasers Podcast is designed to provide insights into personal development, spirituality, recovery, entrepreneurship and how to create an unstoppable mindset to empower individuals to break free from mediocrity and live extraordinarily. Gino shares his experience of working 80-90 hours per week in a restaurant to finding personal development and engulfing his life to learning and improving. 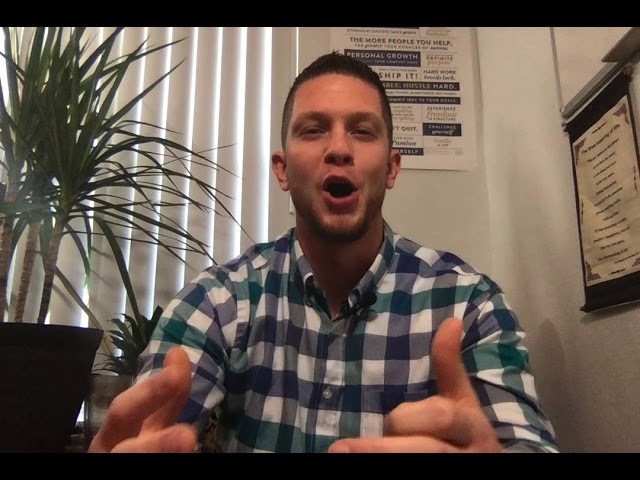 Co-founder of Wheel Barrow Profits, Gino and Jake (his business partner) have an extremely popular podcast and mentor thousands of students on succeeding in real estate. Gino finds his passion in life coaching others and investing in real estate. 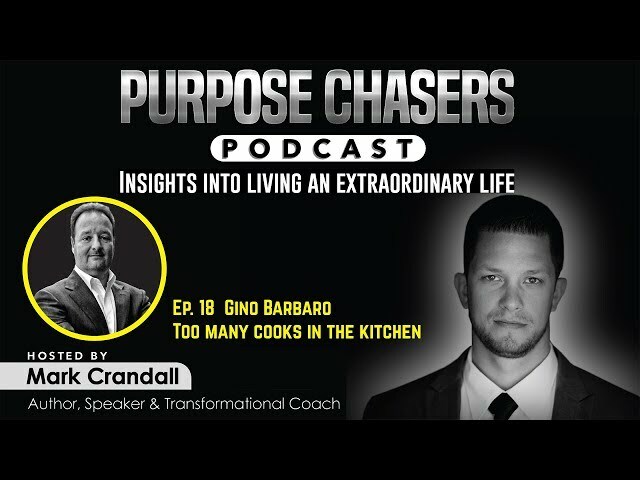 Gino is the definition of why the Purpose Chasers Podcast was started. Ian shares his experience with getting caught in the "hustle" and the realization he had surrounding WHY he was working. Ian is a successful real estate agent that has built a team of badasses. 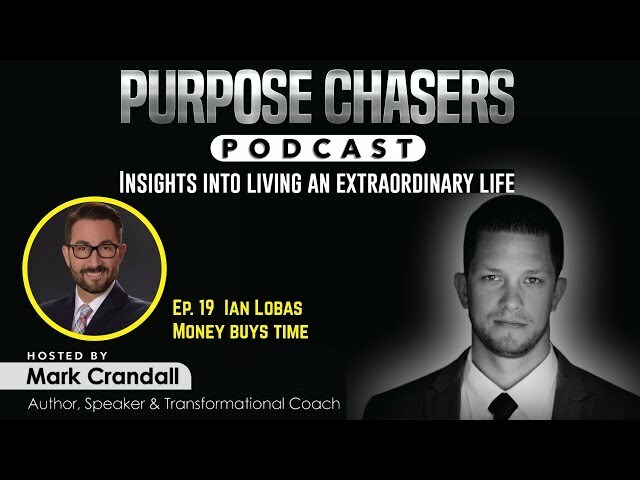 Ian's perspective on time freedom and quality of life is what makes him a prime guest on the Purpose Chasers Podcast. 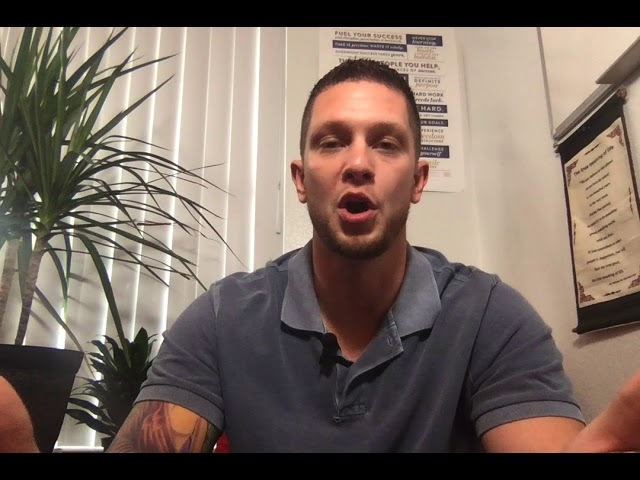 Jayson Stone went from a newbie in the real estate industry to becoming one of the top sales reps and trainers of Keller Williams. 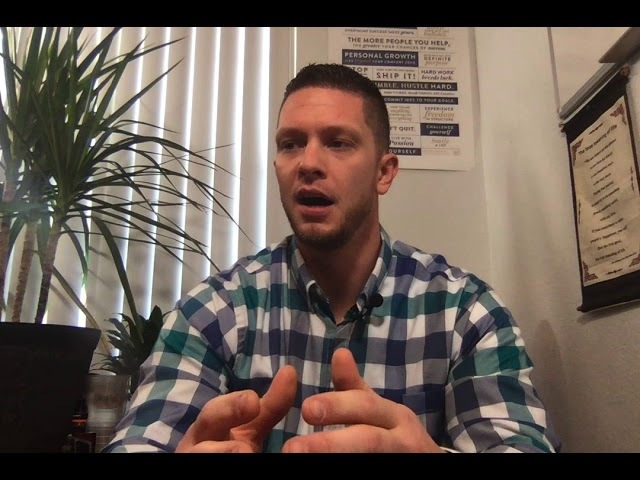 Jayson and Mark discuss the secrets of sales and how many individuals lose sight of the most important aspect of sales the human connection. This episode of Purpose Chasers Podcast is jam-packed with value bombs. 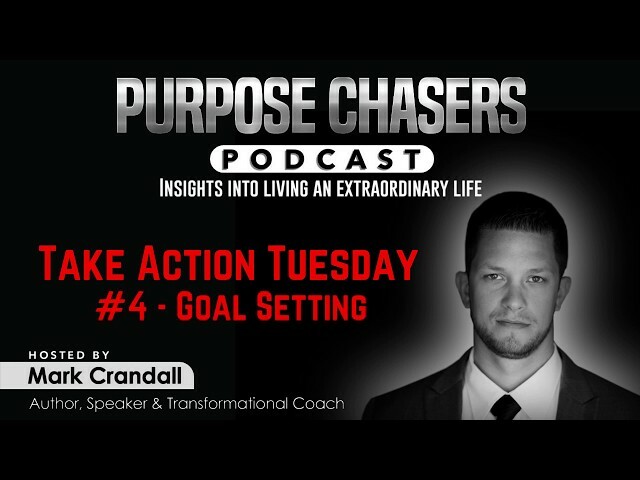 In this episode, Mark shares about his experience of Goal Setting. Many people have trouble with goals because of their limiting beliefs, and being overwhelmed with the goals seeming too big. Listen to this episode to help break through your limiting beliefs and obtain your goals. Subscribe to get the latest news and content from Mark.